The Explorer Program is designed for people who want to get involved early and help shape the future of Glass. We're expanding little by little, and experimenting with different ways of bringing new Explorers into the program. If you're a US resident, over 18 years old, and are interested in joining, you can sign up here and we'll let you know if a spot opens up. Please note that, while we'd like to invite everyone, we can't guarantee invites right now. Remember, Glass is $1,500 + tax within the US, and you must provide a valid US ID or proof of residence when picking up Glass. Google glass is great invention, this is really great informative post. 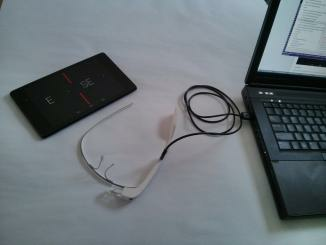 Knowing about google glass is exploring the technology. awww. Why can't brands diversify geographical experimenters? Especially cool stuff! Australia is used as a testing ground for new tech all the time!